ITALY. Florence, 4th November 2011. Mandela Forum, the night of the match for the EBU (European Boxing Union) Welter Weight crown. 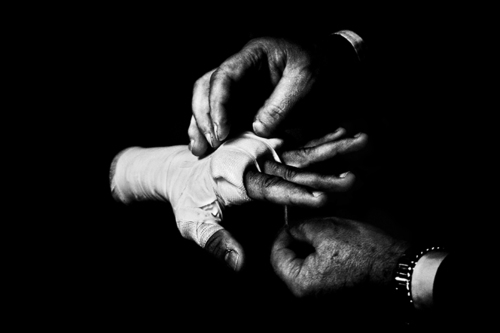 Mr. Loreni, Leonard Bundu’s agent, bandages athlete’s hands.